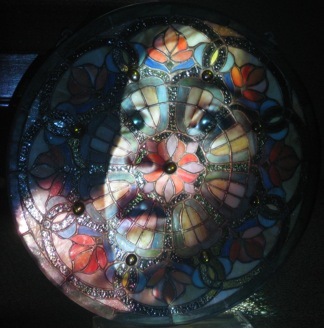 The Spirit of the Beehive projected onto a stained glass window. Ana is watching Frankenstein for the first time, as a character and a real child. Her eyes mirror the light of the monster.